We wanted a way to put some kind of overlay on the product image when a variation is selected for which we have no picture. The featured product photo happens to be one of the variations, so we don’t want it just reverting back. 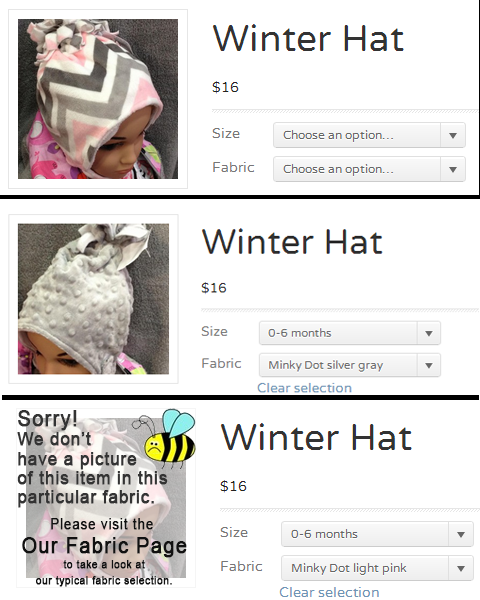 The ideal situation involves keeping the featured product photo but doing some semi-transparent overlay with an apology message about viewing our fabrics page to get a look at the available fabrics for the item. A new feature in the plugin includes a Dashboard setting for which image will be used in the overlay. 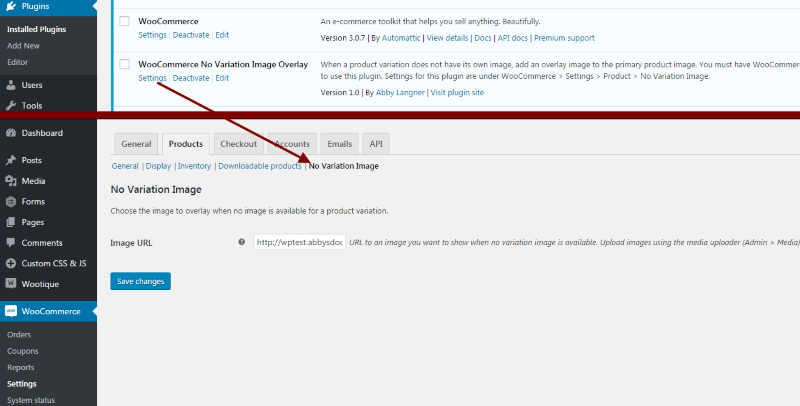 This is properly hooked into the WooCommerce Settings Products tab, and linked directly from the plugin’s entry on the plugins page to make it easier to find. Here is the full plugin ZIP file, for your convenience. And here is my presentation on this topic for WP Omaha!